Cloud storage services offer a minimum amount of free space to everyone who signs up, but you can often get more. You can upgrade your cloud drive with gigabytes and gigabytes of free space in a few easy steps, often just by referring friends to your service of choice. The free space you can get using these methods doesn’t expire. You’ll have the space forever – or at least until the service decides to take it away or close its doors. For maximum free space, use multiple services and rack up free space with each. You could have over 100GB of free space if you took advantage of all the offers here. 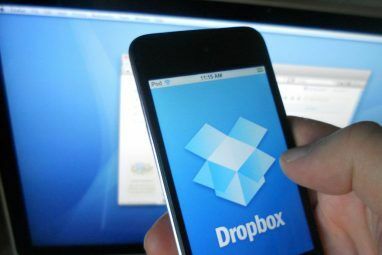 Dropbox Top 10 Uses For Dropbox You May Not Have Thought Of Top 10 Uses For Dropbox You May Not Have Thought Of For many advanced computer users, Dropbox is the premiere cloud-based storage and sharing document service. It has replaced the Documents folder on my Mac, and is the primary way I sync files between my devices.... Read More starts you out at 2GB of free space, but generously allows you to earn over 20GB more without spending a dime. Consult Dropbox’s Get more space page for a list of ways you can land some more free space. Refer Friends: Refer friends to Dropbox and you’ll get an additional 500MB of free space every time someone creates an account after following your referral link. You can earn a maximum of 16GB this way. Camera Upload: Enable the Camera Upload feature on your phone or computer to automatically upload photos you take to Dropbox. If you do, you’ll get up to 3GB of free space. Social Media: You can earn 125MB each for connecting your Facebook and Twitter accounts to Dropbox, following Dropbox on Twitter, and giving Dropbox your feedback. Take the Tour: If you never took the getting started tour when you created a Dropbox account, you can take it now for a free 250MB of space. Participate in Scavenger Hunts and Beta Tests: Dropbox has run “Dropquest” scavenger hunts where users can earn free space by solving puzzles (or just looking up a walkthrough online). They’ve also given away 5GB of space to users who participated in beta testing new features. Keep your eyes peeled for future scavenger hunts, beta tests, other events, and new features. Microsoft’s SkyDrive doesn’t offer a referral program or another way to earn free space at the moment. However, it does come with 7GB of space by default – more than Google Drive and Dropbox offer. Be a Past SkyDrive User: If you used SkyDrive before its relaunch on April 22, 2012, you can upgrade your SkyDrive account from 7GB to 25GB Is There a Good Reason To Use Microsoft SkyDrive In Addition To Dropbox & Google Drive? 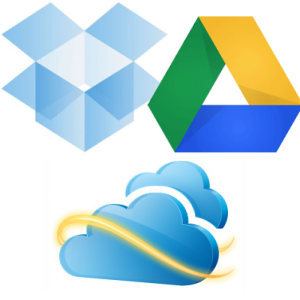 Is There a Good Reason To Use Microsoft SkyDrive In Addition To Dropbox & Google Drive? Read More . If you have an older Microsoft account that you once used SkyDrive on, check if it has 25GB of space available. Google Drive doesn’t have any sort of referral program, so you can’t get additional free space. You’re stuck with the standard 5GB unless you want to pay for additional storage. However, some files aren’t counted to your space limit. Use Google Docs: Files you store in Google Docs format (documents, spreadsheets, and presentations) don’t count towards your storage limit. If you have any documents in other formats, such as Office or OpenDocument formats, convert them to Docs files and you’ll free up some space. Manage Your Photos: Your 5GB of space is actually shared between your Google Drive and Google+ Photos (formerly Picasa Web Albums). However, photos and videos under a certain size aren’t counted towards your storage limits. 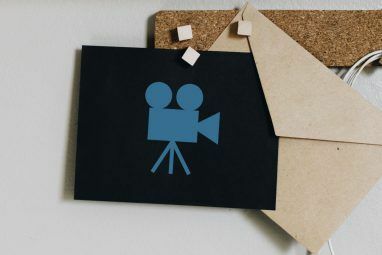 In other words, you can store an unlimited number of these photos and videos for free. Google has more information about the types of photos and videos that you can store for free. To get more space, try shrinking or deleting some photos. Buy a Chromebook: Chromebooks come with a sizable bonus amount of Google Drive storage space. It’s not quite free – you have to buy a Chromebook – but if you’re so inclined, you can get a free 100GB of Google Drive space for two years by purchasing the $249 Samsung Series 3 Chromebook Samsung Chromebook Series 3 Review and Giveaway Samsung Chromebook Series 3 Review and Giveaway People today are constantly on the move and connected to the Internet, doing anything from creating presentations to checking emails to chatting with friends to playing games. People use all sorts of devices to accomplish... Read More . That’s a $120 value – almost half the price of the Chromebook itself. You could also get 1TB of space for three years by purchasing a Chromebook Pixel for $1,300 – it’s actually cheaper to get the storage by buying the Pixel than by purchasing the storage alone. 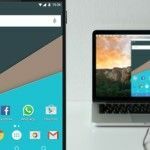 However, if you’re purchasing a Chromebook Pixel, you probably don’t care about money (sorry Google, but the Pixel is just too expensive for what it offers). Ubuntu One Ubuntu One: An Unknown But Worthy Contender In Cloud Storage Ubuntu One: An Unknown But Worthy Contender In Cloud Storage Just a little over a week ago, a lot of news was made in the world of personal cloud storage, where Dropbox added more sharing features, SkyDrive introduced their new synchronization application for desktops, and... Read More includes 5GB of storage space for all accounts. Like Dropbox, Ubuntu One offers a referral program. Refer Friends: You can get an additional 500 MB for each person you refer, up to a maximum of an additional 20GB. That’s a total of 25GB you can get for free. Log into your account on the Ubuntu One website to get your referral link. Box currently only offers 5GB of space for free, but they’ve offered some huge amounts of free storage in the past. Box has given away 50GB free Box.net Offers 50GB Lifetime Upgrade For All Android Users [Update] Box.net Offers 50GB Lifetime Upgrade For All Android Users [Update] Read More to iOS and Android users who downloaded the Box iOS or Android app. Box has also offered 25GB free to users that downloaded the desktop PC synchronization app. However, these deals are no longer available. If you snagged a deal while it was available, you’ll still have that massive 50GB (or 25GB) of free space. If you’re a Box user craving more free space, stay tuned for future deals – you just may pick up 50GB of space and put the other services here to shame in raw numbers. However, Box is a more limited service and restricts files you can store to 250MB each. It’s not as flexible as other services, so that 50GB will be more difficult to use. Other cloud storage service providers like SugarSync SugarSync: The Most Well-Rounded Free File Backup & Syncing Service SugarSync: The Most Well-Rounded Free File Backup & Syncing Service File backup is not a new conversation or topic by any means. If you search Google for “file backup” you will likely be overwhelmed by services and articles on the topic. It is a vast... Read More may offer their own referral programs and other ways you can earn free storage space. Check your provider’s website for more information if you’re using another service. How much free storage space have you earned? Leave a comment and compare your accomplishments! Explore more about: Cloud Storage, Dropbox, Google Drive, Microsoft SkyDrive. Valuable blog post - I Appreciate the specifics ! Does someone know if my company could access a template 2011 IRS 4562 form to type on ? I use SkyDrive with two accounts: one with standard app and another one with syncDriver for SkyDrive from here http://syncdriver.com. It give me 7+7=14GB for free. With Otixo, you can pull these and more cloud storage services into a single app so you have one big cloud hard drive for all your files. It's like your Finder or Windows file explorer for all your files online. I have way more cloud storage space than I use. ADrive still has 50 GB free and Media Fire too. I have 2.9 GB in my Dropbox. None of the bonus is from referral. People I know in the internet already use it, and people I know IRL are not interested. Thanks for that info!! I din't know i could get all that space for free. Google Docs RULE! It is the BEST! Didn't know about any of these! Currently in the process of moving as much of my files as possible to cloud services, this will surely help, thankyou! I didn't know when Dropbox had Spacerace event.. when my friend told me about that, it was already over.. @#%$%$!!! RAGE!!! Thanks for the reminder. The article talks about the stuff which have been already covered here couple of times. Just got some free storage space in Dropbox because of this, thanks! I also grabbed that 50GB of free Box storage, and had two Hotmail accounts set up before the deadline, so both of those have the 25GB of storage. There is a new service out there https://www.copy.com/home/ They also offere referral and bonus when sign in using a referral link. Check put e.g. twitter for referral links if you want to join. I even got 48Gb extra for one year when connecting my Samsung GalaxyTab2 to Dropbox. Sony has extended their bonus of free 50 GB at Box to customers until the end of 2013. Great article, many thanks, bookmarked! It's annual, and insanely hard if you don't set some time aside to do it. I use few cloud services, I'm glad I was able to secure 25GB of Skydrive. Same here. Although I don't use my Skydrive as much, I'm just glad to know I have 25GB just waiting to be useful, lol. I like Dropbox the best by far, but I'm considering dropping it for Box because I have 50. I don't want to switch, but I only have 13 on DB and I'm getting close. I wouldn't trust it with critical files. Dotcom doesn't have a very good reputation around. Really, unless you're shipping a hard disk to a service to have them load your files, anything over 25-50GB is about all you can use at DSL speeds for uploading. And that will take God knows how long to load. I have 1.5TB of files so only critical stuff will eventually be uploaded to the services I have. I have Google Drive, SkyDrive, and a couple others to use as well as Box. so I probably have a total of around 70-75GB available. I got 25GB from Fetchnotes and Box promotion. They didn't say there's time limit, so try to visit Fetchnotes blog to see if you're still eligible. If you buy a Galaxy Note 2 (on the 3 Network in the UK, at least) it comes bundled with 50GB of free Dropbox storage - in addition to any storage you already have. The catch? You get the free space for 2 years. After that, Dropbox must be betting that most people will have filled lots of the free space and will choose to pay up, in order to keep it. I probably will, when my trial period runs out. I currently have 59GB of free space, and I've filled nearly 33% of it. Does anyone know if this bonus is available with the Note 2 in all countries and with all carriers, or this a very specific deal? Specific. We don't get the promotion here. I don't think it's region specific, but there were some carriers (AT&T, Verizon, etc.) that asked to not be included in the promotion. I'm on T-Mobile in the US and I got the 48 extra GB. Didn't know docs didn't count in your storage limit! Thanks for that info!